TRUTH is the Harder YOU Train and Workout - Scientific Studies Have Proven - the More You Actually WEAKEN Your Immune System - Making You Vulnerable to Sickness! 1,562 product and formulation design hours, 3 stages of design and a team of nutritionists, supplement formulaic experts and one pharmaceutical consultant – to develop the Hottest & Best-Kept Training Secret – Fighter Focus presents – C-TeX – the #1 Selling High Potency Training Supplement Gum for High-Output Athletes. 1. #1 Selling Training Supplement Gum in the World - professionally designed and athlete- tested for the ultimate in immune system boosters. 2. Over 277% of the recommended daily intake for Vitamin C + our exclusive proprietary blend of the active ingredients found in Noni, medicinal mushrooms, Echinacea, B complex, Zinc and Selenium to ensure you stay in gym and out of your house. Just one of the ingredients found in C-TeX has been medicinally proven and is time-tested to improve your immune system's defenses. 3. C-TeX is produced for safety first and foremost in a GMP certified plant that meets the most stringent safety, handling, packaging and manufacturing process, – the result is the most finely tuned fitness gum supplement ever made. Ingredients have been cited in over 10,500 different studies for efficacy and safety. 4. Results Within 20 Minutes! All products have been tested to certify that the quickest methods of disintegration – the breakdown of the supplement – and dissolution – the process to get the supplement to your body. 5. Tired of Popping Pills, Powders & Potions? - Not only does C-TeX come in a delicious Sweet Orange Mint flavor - C-TeX is GUM! - C-TeX Training Supplement Gum make it easy to remember, easy to carry around and easy to take - AND it increases the speed of absorption as digestion starts in the mouth when saliva breaks down the supplement. 6. 90 Day Risk Free Guarantee Trial - You don't like it, send it back. You are not satisfied with it, send it back. You ate it all and mail us the empty trays; YOU get your money-back. No questions asked - that's our Fighter's Promise. Vitamin C, the main ingredient in C-TeX, is an ascorbic and is essential for human development and sustainment – and we here at Fighter Focus, have Overloaded it into our training gum. 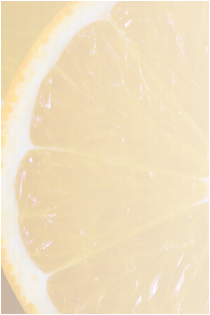 Vitamin C is effin essential to human existence and the sustainment of a healthy body – if you are training your body needs more than the average person. Vitamin C has been well known to boost your immune system – and has been cited in numerous studies for doing so – all this means, is that YOU get to stay in the gym and OUT of bed. C-TeX also contains a proprietary blend of the active ingredients found in Noni, medicinal mushrooms, Echinacea, B complex, Zinc and Selenium - just ingredient is proven to substantially improve your immune system's defenses. Most importantly, and probably most unknown to most people is that the ingredients in C-TeX will actually help the body deal with stress – and if you have ever trained hard you know the kind of stress your body goes through - and the ingredients in C-TeX aid your body by introducing the nutrients and vitamins known to alleviate the mental and physical stresses of an athlete. Athletes often forget that the harder you train the more vulnerable your body’s natural immunological defenses weaken – making it easier for you to get sick – C-TeX strengthens your defenses to juggernaut through anything. Exclusive to this online deal – Order today and receive our exclusive double offer – where you get a second order for completely FREE! – From 6 Weeks to 12 Weeks - That’s a 3 month supply (120 pieces) – in our Sweet Orange Mint flavor - That's Less Than $12 per month to keep your immune system healthy and If You’re Still Not Satisfied After Trying Fighter Focus’ Revolutionary High Potency Training Gum Return It! - For every penny of your hard earned money back – Guaranteed, that’s Our Promise. Can This Fighter’s Supplement Really Work For YOU Too? We at Fighter Focus have realized, even after years of educating private clients, there will always be additional questions. With that in mind, we have added a list of FAQs to our site to try and address the most common themes. If you have any additional comments or questions, email us through our contact page. What are the active ingredients in Fighter Focus’ C-TeX, the best supplement for keeping YOU in the gym? Fighter Focus’ private clients demand results, and settle for nothing less than the best. In our latest formulation, C-TeX is overloaded with 267% the Vitamin C recommended for daily intake. Why do we use so much? – because you as a fighter are different from the rest of the population. Your body will undergo stress, fatigue and exhaustion – well beyond normal limits, and C-TeX addresses all aspects of this. C-TeX also contains a proprietary blend of the active ingredients found in Noni, medicinal mushrooms, Echinacea, B complex, Zinc and Selenium. Is C-TeX Safe for strengthening my immune system? Yes, C-TeX is a great way to build up your immune system. As fighters, body-builders and hard-core gym freaks ourselves, we value safety above all else. Our top quality superior ingredients are maintained and handled with care throughout the process. Our manufacturing facility is GMP certified and passes the most rigorous inspections. 100% of all employees of Fighter Focus are currently taking C-TeX. Who is C-TeX designed for? C-TeX was specifically formulated for Hard-CORE Crazies– mixed martial artists (mma), BodyBuilders, Muay Thai fighters, boxers, wrestlers, football players, hockey – any form of sports where the fighter’s body takes above average levels of exhaustion, fatigue and stress – both physical and mental. C-TeX is designed to improve their immune systems to keep YOU from getting sick and staying home. I am not a Super Athlete– can I still take C-TeX? C-TeX was designed to suit the Athletes need and fit into an athlete’s lifestyle. An athlete will go through incredible amounts of training and preparation leading up to a competition – mentally and physically, and C-TeX addresses them both. If you feel like you participate in an activity where you are mentally and/or physically stressed, fatigued or pushed to the limits – try it out, and email us with any results or feedback. How should I take C-TeX for best results? For normal results, take one piece of C-TeX as the best pre workout supplement - about 20 minutes prior to a training session. Next take one piece of C-TeX as the best post workout supplement - immediately following a workout or training session. For best results, or if you are in a training camp, we suggest doubling up and taking two as a pre workout supplement and two post work out. C-TeX was designed to be the best pre and post workout supplement for fighters ever. For weight-cutting or making weight, as chewing gum helps your body create saliva while you chew, and can easily spit out any excessive saliva out, all while getting virtually weightless nutrients into your system. Take one piece of C-TeX every hour during weight cutting - either hot bath, sauna or sweat suit. We do not actively recommend weight-cutting. Will this ensure I never get sick again? We at Fighter Focus have spent years with fighters, bodybuilders, powerlifters, and super athletes of all kinds, but are new to developing products for athletes outside our normal circle. 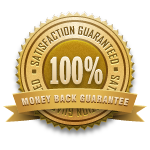 For this reason, we have a rock-solid 100% Money-Back Guarantee which lets you try our product for a full 90 days. If you are not satisfied, or C-TeX doesn’t blow you away and boost your immune system, just send it back even if all the trays are empty we will accept this as a refund. One more thing, if you get sick during these 90 days, even if it is a genetic disorder, or you sprain your ankle and you consider that being sick, just send it back and we will refund your money – that’s our promise as Fighters, to you. How do I know C-TeX is different from other vitamins for improving immune system? C-TeX is designed and scientifically formulated for maximum results in the shortest period of time. Just one of our ingredients alone can stand up to any other supplement that promises to improve your immune system – but we didn’t stop there – we designed C-TeX with hyper-absorption into your body, by making it available in a chewing gum – so that it starts working faster than waiting for a capsule to dissolve. We also used gum because people don’t always like to take supplements, or carry around pills and capsules everywhere they go, gum makes it easy to remember to bring and just as easy to take. Yes. Vegan too. C-Tex contains medicinal mushrooms, so watch out if your allergic. Will taking C-Tex make me fat? If you are training and are worried about making weight, you’re in luck – C-TeX is ONLY Zero-Calorie training supplement that will BulletProof your immune system. C-TeX is sweetened with stevia. And – if you are cutting weight, the chewing of the gum will help your body create saliva, which can then be spit out when cutting weight. When Should I NOT take C-TeX? 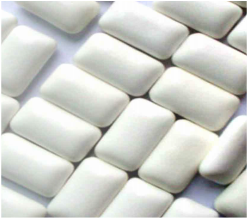 Although it is tempting for us to tell all our users to take C-TeX as often as possible, it really isn’t in our best interest, because C-TeX was not designed for casual chewing gum fans, it is too expensive and we put way too much effort into designing a results driven product. Chew responsibly & don't choke. Don’t forget… you have an amazing deal here. You will have the original 30 90 day Money-Back Risk-Free Guarantee PLUS order now and get an exclusive DOUBLE DEAL where your order will automatically be doubled for FREE! – that’s a massive 90 supply DOUBLED AND a 90 Day trial period! – Giving you enough time to test the product and if for whatever you are not 100% satisfied, just send us back the gum – even if the gum packs are empty and we will honor you with a FULL Refund – that’s the Fighter Focus Promise! None of the customer testimonials were paid to give their approvals of C-TeX, although in some instances, sample products were given.